Audrey Eyman is a Communication Design student in the University of Cincinnati's School of Design, Architecture, Art, and Planning. Expected graduation class of 2021. In summer 2017 she worked as a junior member of the design team and member of the marketing team, with a focus on social media engagement at Kolar Design, a brand experience + innovation firm in Cincinnati, Ohio. 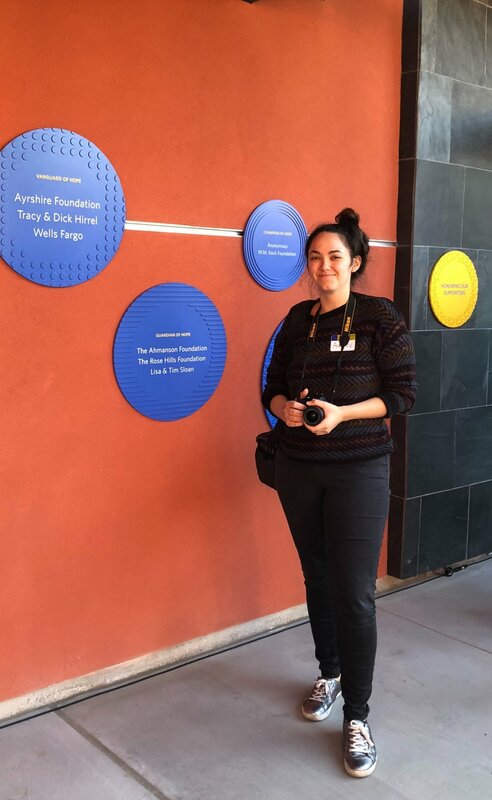 As a student member of SEGD, Audrey attended the 2017 SEGD National Conference in Miami, Florida; participating in the Young Designers Summit, and the 2018 SEGD Wayfinding conference in Los Angeles, California. In 2017 she also traveled to Tuscany, Italy for training in plein-air landscape oil painting. In spring and fall 2018 Audrey worked as a graphic design co op at Hunt Design, an Environmental Graphic Design firm in Pasadena, California. Hunt specializes in Wayfinding and Exhibition design. Currently seeking an internship opportunity for summer 2019.